Tonight I had a dinner that I can say I have honestly never had before. Breakfast was simple scrambled eggs (sans teflon) and toast (with Michigan tart cherry jam!). For lunch I had a giant salad made up of mixed greens, pecan crusted chicken, all with a raspberry vinaigrette! It was fantastic and I wished I had my camera. Oh, and a freshly baked breadstick too! For dinner I was not all that hungry but I needed some little snack. Fruit and cheese (my white Irish Cheddar) sounded good. I threw in some wheat crackers for good measure and decided why not a glass of wine too! I probably drink about 1-2 times a year (if even that!). Today for some reason it sounded good. 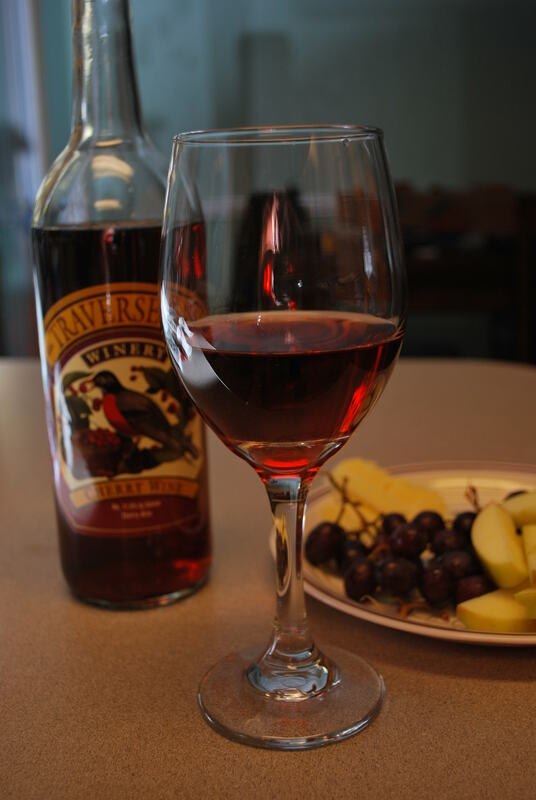 Out and about this afternoon, I crossed some wine that sparked my interest. 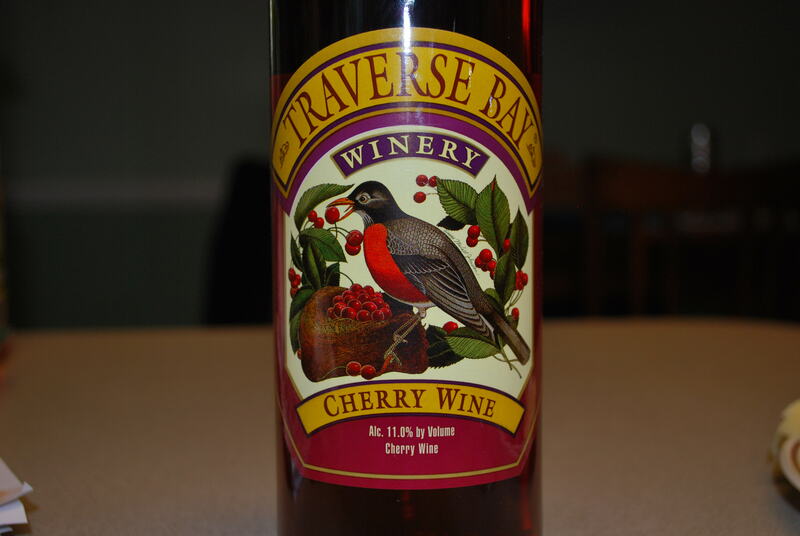 It is a Cherry wine that is made from 100% Northern Michigan tart cherries. Since I am on my tart cherry kick, it was the perfect one to bring home! That was my silly eats for the day! I hope you have a good night and had a good weekend too!